Become a genetically enhanced Star Wars Stormtrooper for Halloween when you add this two-piece deluxe Stormtrooper helmet to any of our Stormtrooper costumes. The helmet details, like the blue lines along the sides and the upside down blue “V” by the mouth, set this helmet apart from others. It comes as a front piece and a back piece which connect with Velcro to form a full helmet. 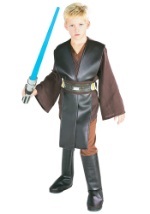 Add a Stormtrooper blaster gun and a pair of white costume gloves for a streamlined Halloween costume!